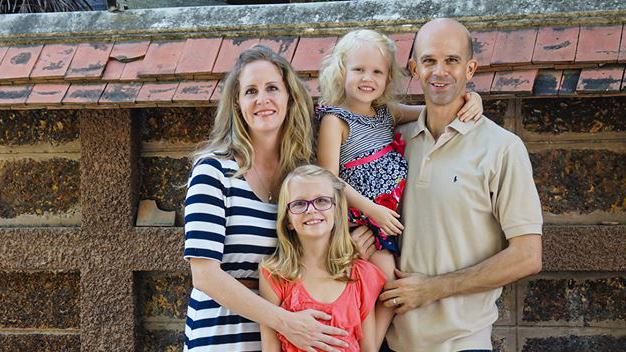 Stephen and April, along with their daughters, Elise and Esther, are missionaries in Thailand. Their ministry, Global Opportunities, is actively evangelizing the lost, discipling the saints, and training up church leaders. A quick video from our Thai Bible class to say thank you very much to our partners and friends who are helping us reach and teach the Thai people for the glory of God. That’s Thai for ‘activity.’ We have certainly had plenty of git-ja-gham lately in making decisions for our building! We could not be happier to see how quickly things are coming together. Today we stopped by the building to check out a few things, including sampling some paint colors and the girls playing school in the kitchen. And we wanted to share 75 seconds of it with you. Thank you for helping us reach and teach in the name of Jesus here in Thailand! Cambodia Church Leader Training August 2015- Global Opportunity with Antioch Ministry Group (AMG) in Chhuk, Cambodia. AMG and Global Opportunity are committed to seeing the Church in Cambodia reach their own people with the good news of Jesus Christ. This is done primarily through partnership in planting churches, financial support, leadership training, and Bible teaching.